It’s the coldest month of the year so far – so it only seems fair that this meal has to be something that little bit extra special to warm you up. 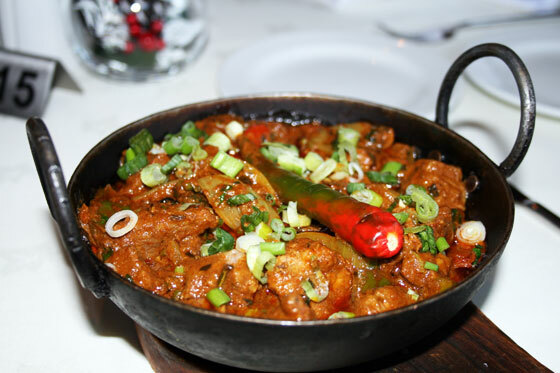 The curry here has a bit of spice – and the classic Indian sides will complement and enhance it. The perfect winter warming menu. 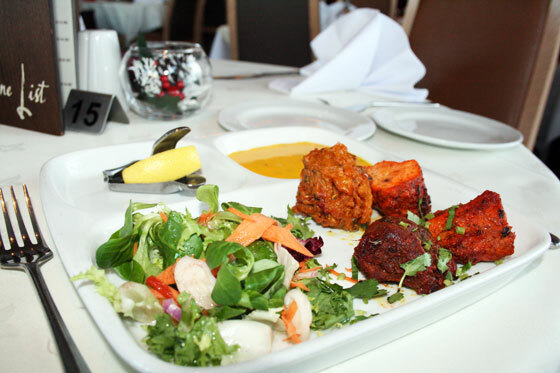 Fresh crisp salad and a lovely smooth minty dip accompany this beautiful selection of lamb and chicken kebabs, marinated and barbecued to provide the most sumptuous entrée to any meal. 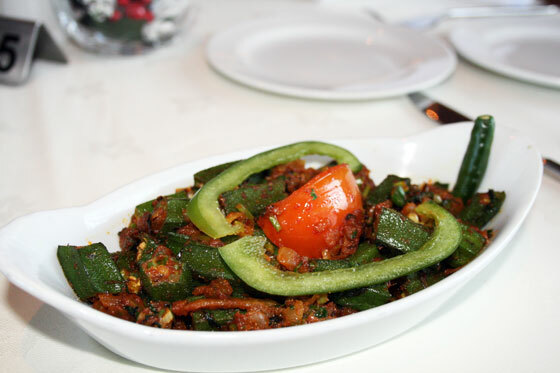 A delightful spicy dish with a sauce made from crunchy green pepper and fiery green chillies. Perfectly cooked beef is coated in the rich sauce and then completemented with our chef’s secret mix of fresh herbs and ground spice. Call it Okra or Ladies fingers – it is always fresh and delightfully tasty. 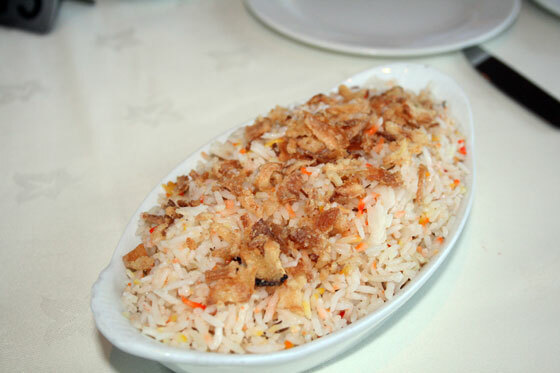 Fluffy basmati rice coloured and flavoured by saffron. So perfect tasting it is ideal to eat soaked in the gravy from your curry – or alone. 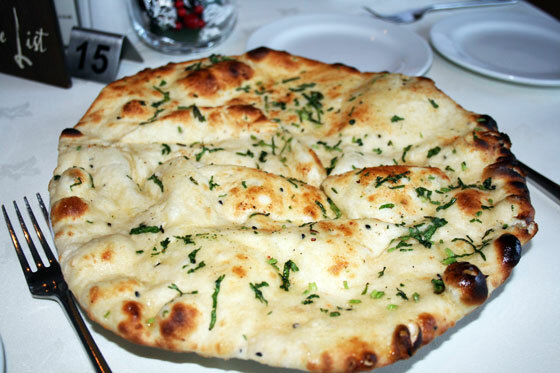 Butter, garlic and fresh herbs smeared all over a lovely hot circle of bread fresh from the tandoor.